Late last night I was talking to my friend who was like, “sorry but I got to go and make some wontons with the family.” Next thing I knew, I was really craving some home made wontons. I went out to the local Asian Mart and bought myself some ingredients =). She was even kind enough to make me the awesome diagram that I have inserted below (see the original here). 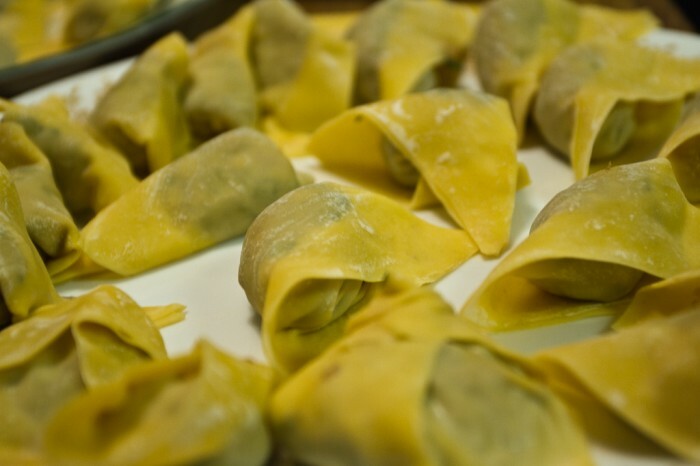 In many Chinese families, making dumplings and wontons is a family event. Everyone stops what they are doing for an hour and gathers around the bowl of pork, shrimp and other deliciousness to crank out tons of wontons. In my family, we usually only make them once a year when the weather gets cold because the process is so time consuming. Whatever we don’t eat is frozen for when we crave homemade wontons or dumplings. The amount of ingredients that I bought could feed an entire army, or just me for a long time =P. First start off by soaking the mushrooms for about an hour or until mushrooms tops are soft. Take the mushrooms out, cut off the stems and press out any excess water from the mushrooms using paper towles. Then mince the mushrooms into small pieces. Save the soaking liquid. (see pictures here). Take the minced mushrooms and the remaining of the filling ingredients, excluding the wontons wrappers, and mix them all together in a large bowl. Let mixture sit together for a few hours or overnight for optimal flavor. 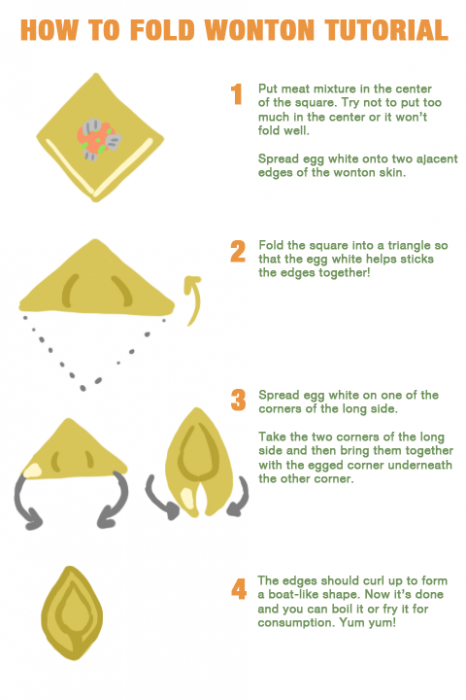 When you are ready to make the wontons, follow the diagram below. 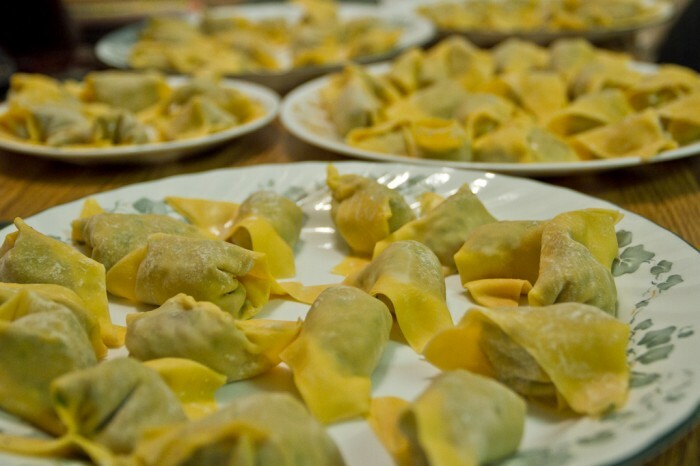 It took us, 4 people, about 40 minutes to make 80 wontons. To cook: Heat up a pot of water. 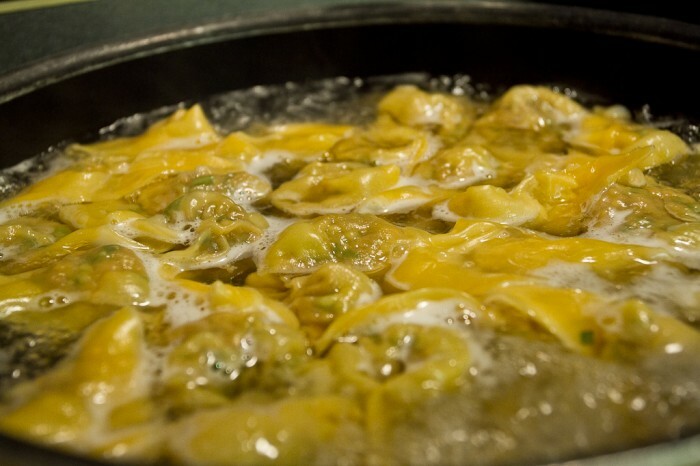 Once water is boiling, add wontons. 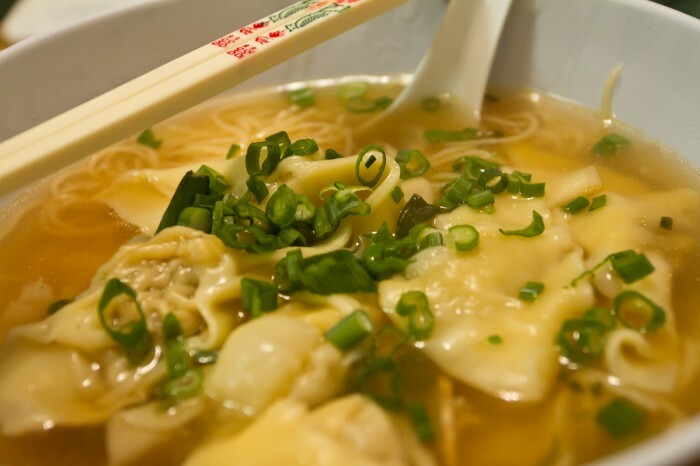 Wontons are ready when they float to the top (picture below). For the broth, heat up a medium stock pot and then add some cooking oil when hot. Once the oil is hot, add the smashed garlic, ginger, shrimp and scallions and cook until fragrant. Then add in the remaining ingredients and bring to a boil. Boil for several minutes and then reduce to a simmer. Let broth simmer for an hour for the most flavor. To serve: Boil the noodles in hot water. 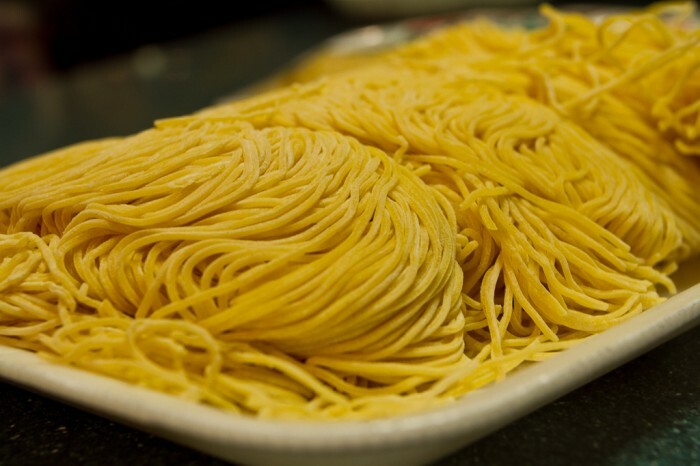 When noodles are ready, make sure to drain off any excess liquid before placing into a bowl. Add cooked wontons and broth to the bowl. 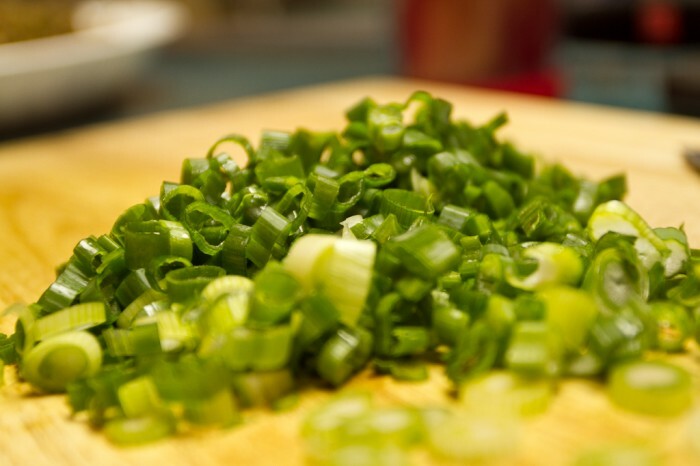 Garnish with scallions and enjoy!